A portrait of my grandmother taken by my father in their Hiroshima home. 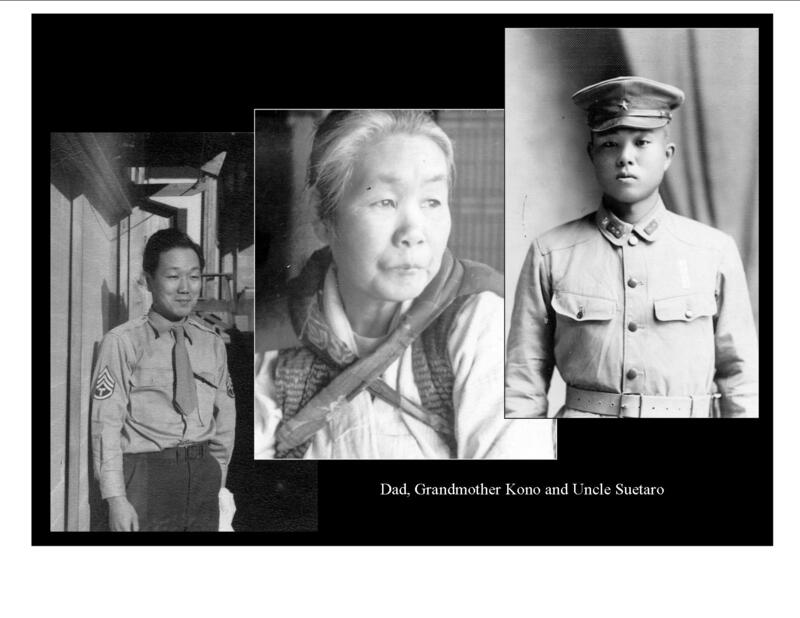 She is flanked by my father (left) and Uncle Suetaro (right), both in their respective country’s uniforms. April 1948. 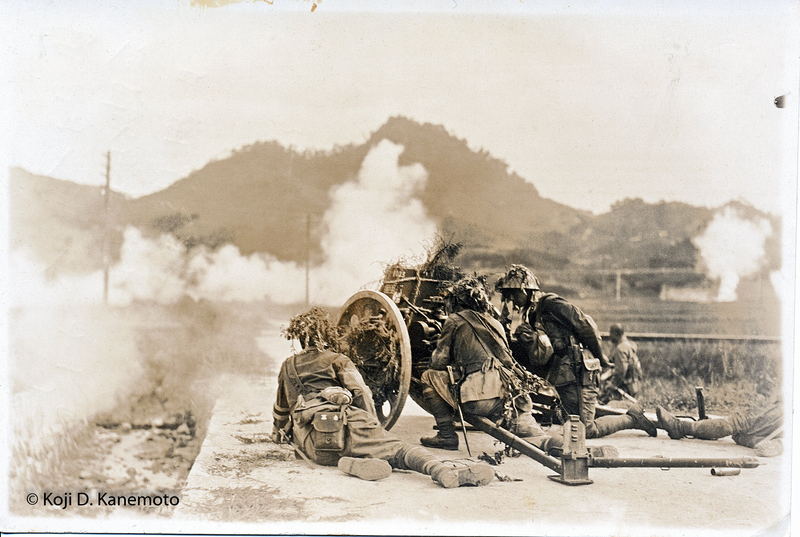 When we closed Part 5 of this series, no Imperial Japanese soldier came down off Mt. 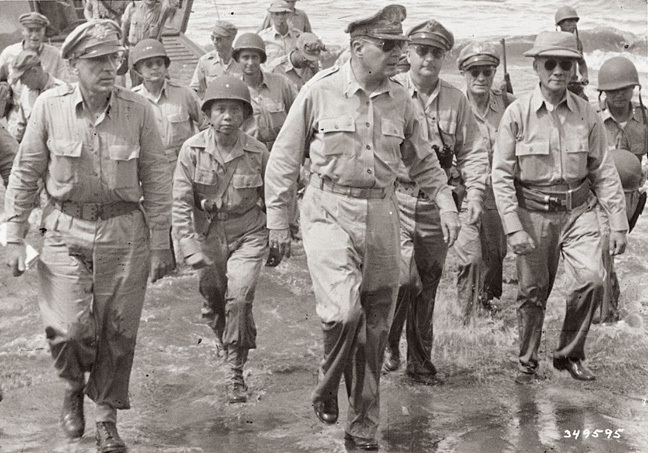 Canguipot on August 15, 1945, the day Japan officially surrendered to the Allies.¹ The US Navy and Army had also effectively sealed off any chance of retreating to other islands. 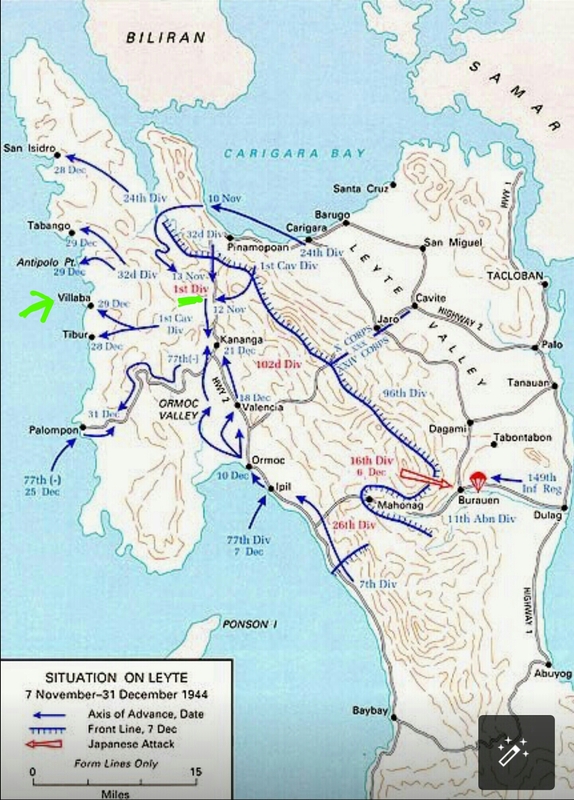 Uncle Suetaro was still on Leyte. 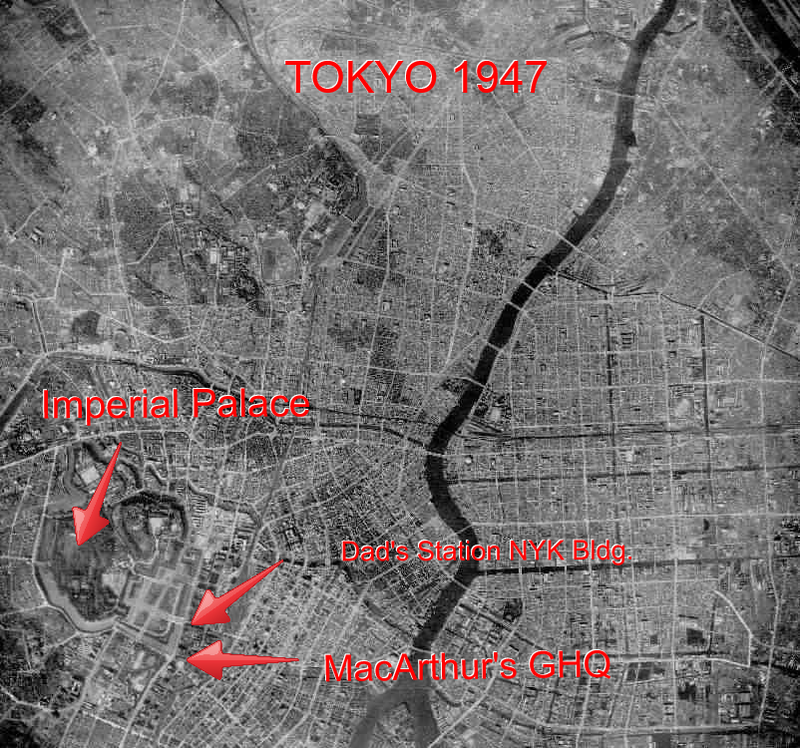 The date when Grandmother Kono and Aunt Michie learned of Japan’s surrender is unknown. After all, Japan and especially Hiroshima was in shambles from the fire and atomic bombings but I’m sure they learned fast enough. 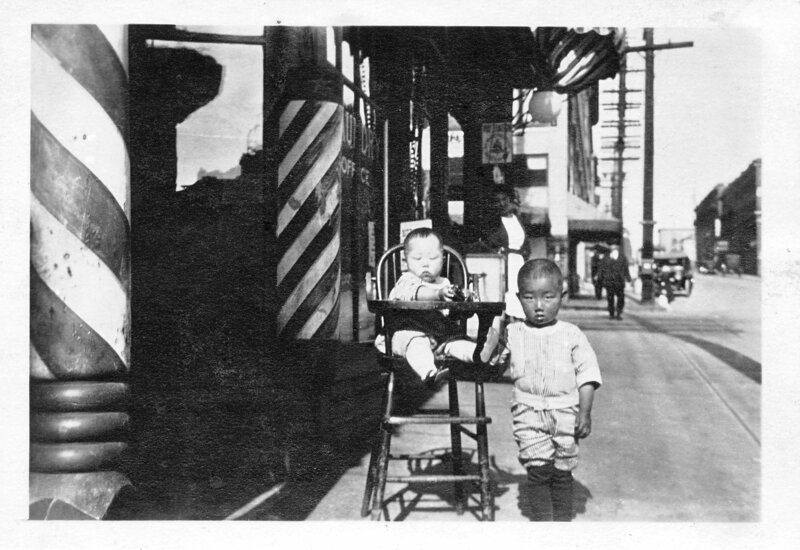 But with war over and just like ANY stateside mother, Grandmother Kono waited for her son to come home… her precious son born in Seattle who was to carry on the family name in Japan. As days passed then months, deep in her heart, she must have come to the realization Uncle Suetaro may not be coming home…but the hope was still burning inside, I’m sure. Hope is powerful. Hoping, you believe, will change destiny. But on or about October 15, 1947, Grandmother Kono will learn that such hope can magnify anguish. She learned her son was declared dead. In January of this year and through the urging of Mr. Ota, my cousin Masako and her daughter Izumi journeyed to the Hiroshima Prefectural Office in hopes of retrieving some official military record or declaration of his death. Not knowing was eating them, too. 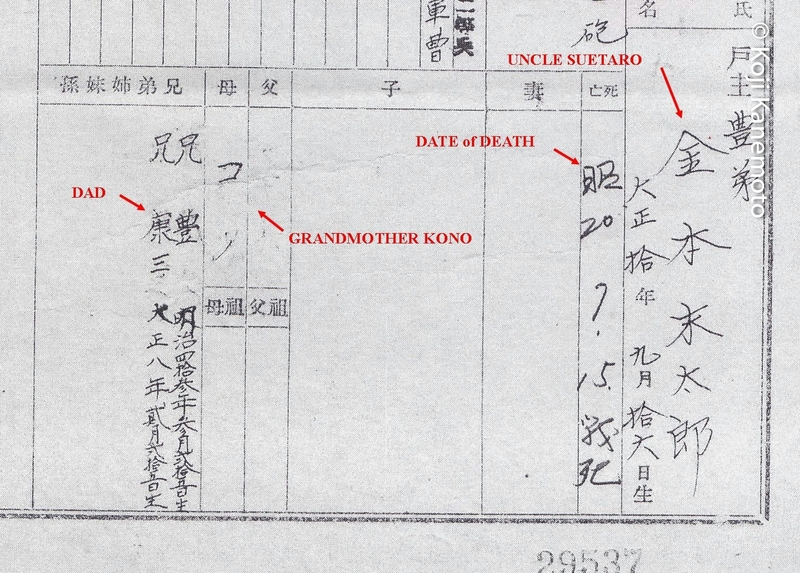 Because of the strictness of Japanese society, they were unsure the government would release Uncle Suetaro’s military record (if any) to his niece, Masako. I understand in anticipation of this, Masako had a “song and dance” prepared. She wanted to know that badly as to what happened to him. Suetaro’s farewell letter. It starts with “Dearest Mama”. 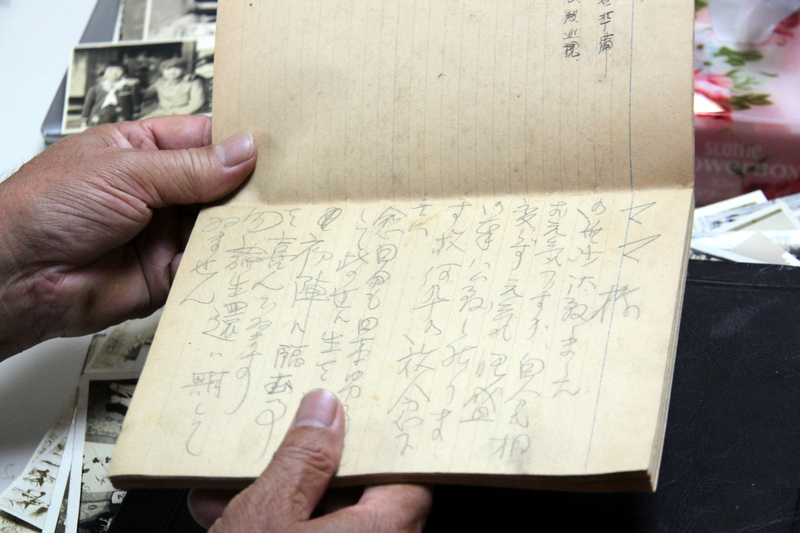 She took along the precious, brittle 72 year old notebook with her… the notebook in which Uncle Suetaro hurriedly wrote his good bye letter to Grandmother Kono in May 1944. 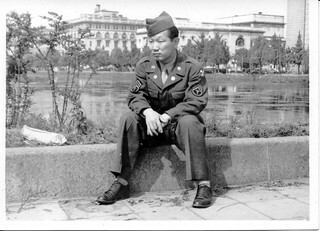 She told the government worker stories of her Uncle Suetaro from 75 years ago – that he was always happy-go-lucky and was the peacekeeper with his kind heart. Perhaps the song and dance was unnecessary but she was successful. As sad as it was, she was given Uncle Suetaro’s certified death notification. She was also given a copy of a handwritten IJA service record that abruptly ended in 1943 – when the tide of war turned against Japan. 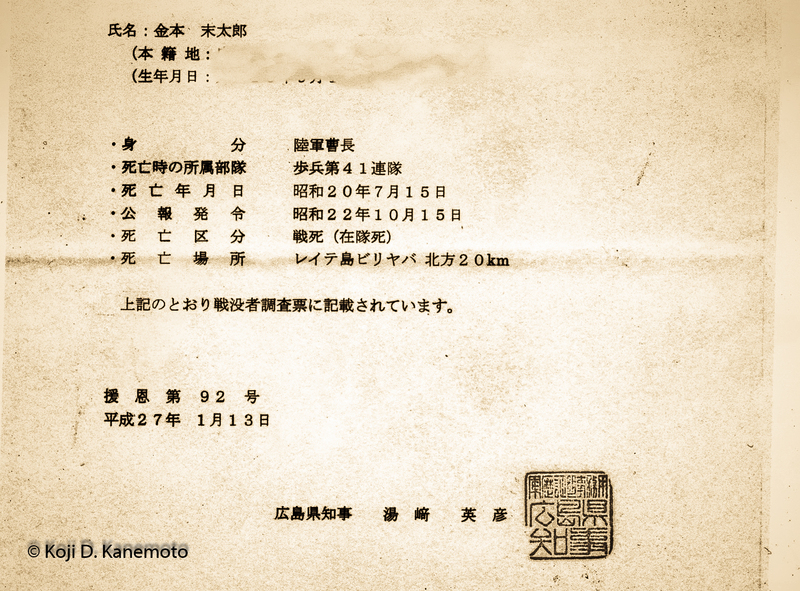 Excerpt from the certified military death certificate obtained by Masako. 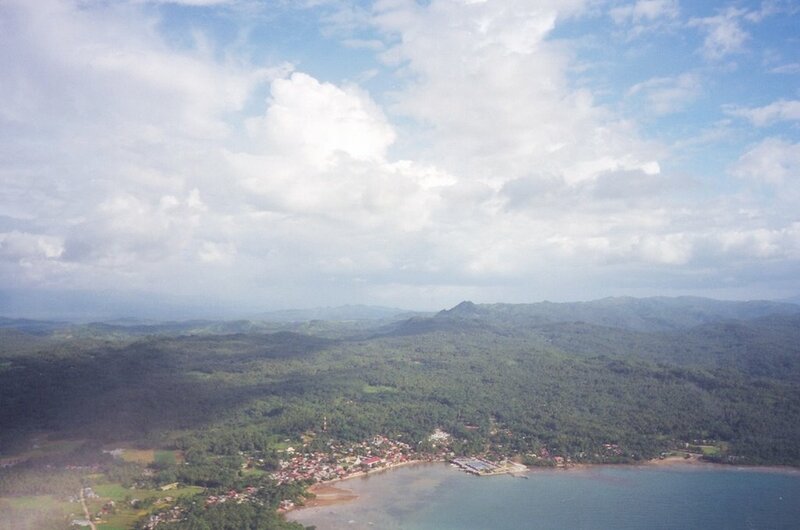 It states his place of death was 20 km north of Villaba, Leyte. 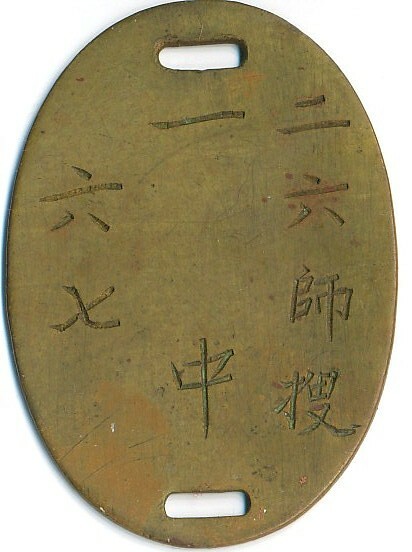 Copy of Uncle Suetaro’s handwritten military record. Sadly, my father and Uncle Yutaka are listed as next of kin. All three were American citizens. In Masako’s heart and mind, she then accepted Uncle Suetaro’s fate and resting place. But with the recent discoveries and stirring of beautiful memories, the spirit of Uncle Suetaro dominated her thoughts my cousin Masako said. His spirit beckoned her mightily…so much so that even with her failing legs, she determined to go “visit him”. 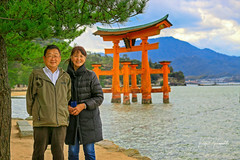 At eighty years of age and with ailing legs, Masako and her filial daughter Izumi journeyed to 備後護国神社, or “Bingo Gokoku Jinjya” on February 2, 2015. 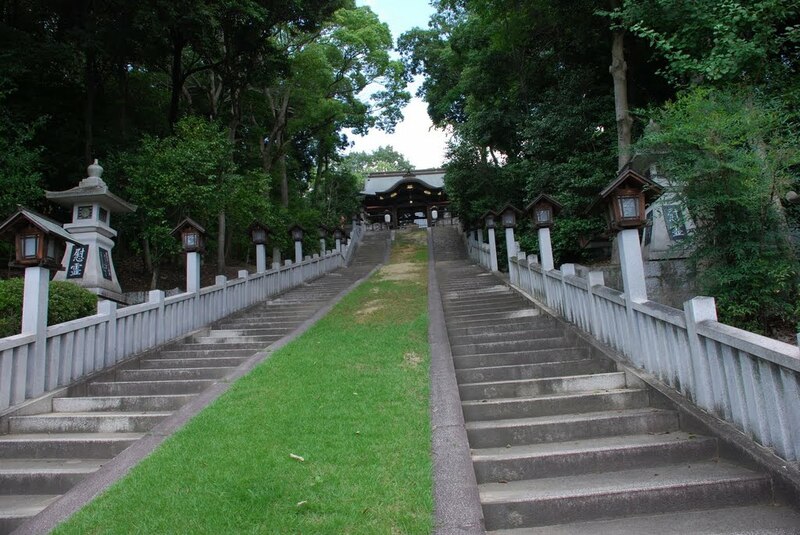 It is a military shrine in which resides the god-like spirits of those men who gave their young lives in defense of Japan. 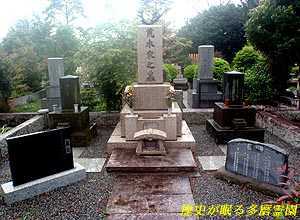 Izumi wrote that she escorted Masako to offer her prayers to Uncle Suetaro at the first altar (below), believing that was a far as she could go. 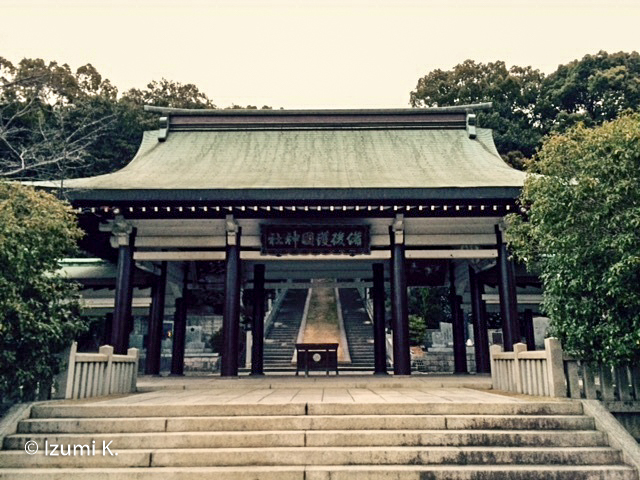 Main entrance to Bingo Shrine and first altar. Photo by Izumi K.
Izumi was beyond belief. Stunned. Her mother was going to walk up the numerous steps that reached upwards towards the brave spirits. No cane. No assistance. By herself. Masako climbed the steps, one by one. Determinedly. From that day, Izumi says, Masako had renewed her life energy, all due to the call from Uncle Suetaro’s spirit. She is likely going to Leyte this year. And it looks as if Izumi and I will be going, too. 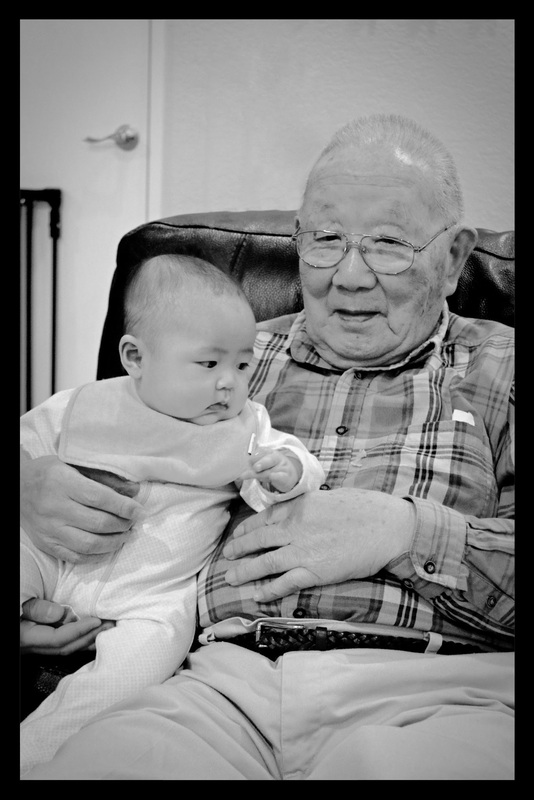 Uncle Suetaro’s dreams of life in America died with him…shared only by him. But his spirit lives on. Perhaps somewhere on Leyte, while surrounded by the US Army, he glimpsed up at the night sky through the dense palm fronds. Rain fell upon his unwashed face. Perhaps he was wounded and if so, perhaps shivering from a raging infection. If he lived until morning, he found each dawn worse than the dawn before. He was starving. He knew inside his heart he was not evil… But if I am not evil, why am I here dying? 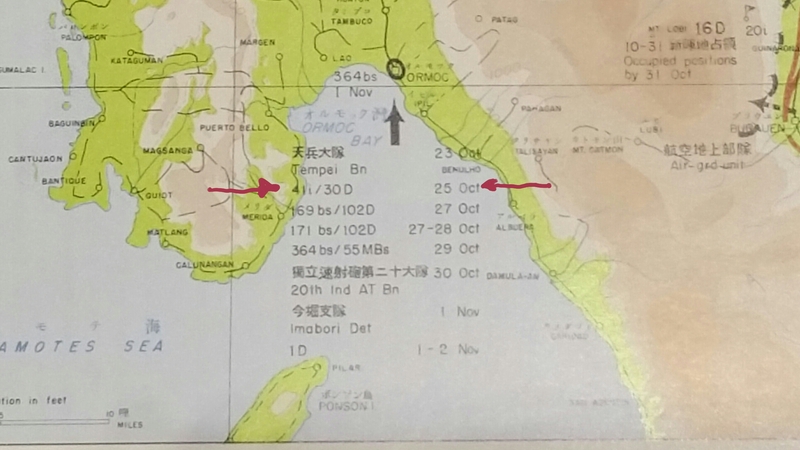 While I cannot speak to how my Hiroshima cousins feel, to me, the hard evidence tells me Uncle Suetaro did make it to Leyte as a soldier in the IJA’s 41st Regiment. 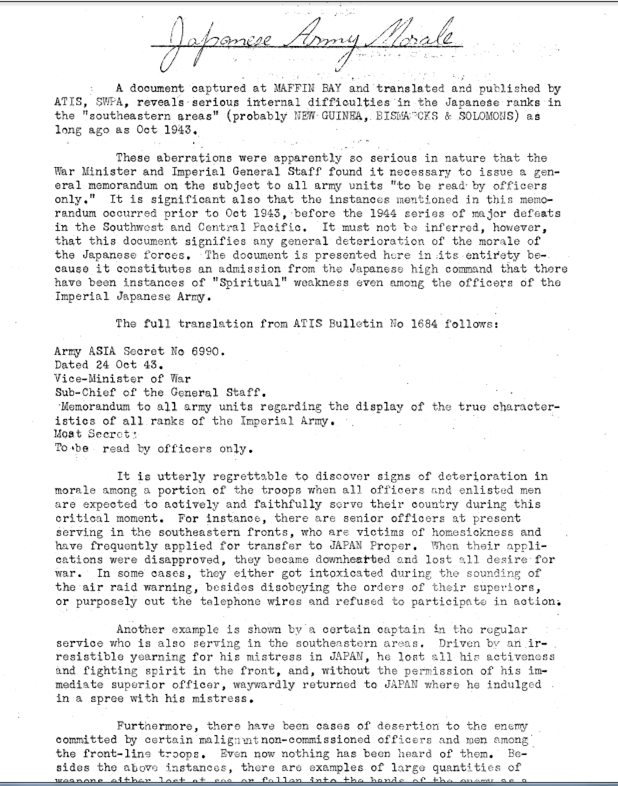 With the good help from Mr. Ota, his official military records document that. But truthfully, I don’t know if he was in the troop convoy that disembarked on October 26th in Ormoc. 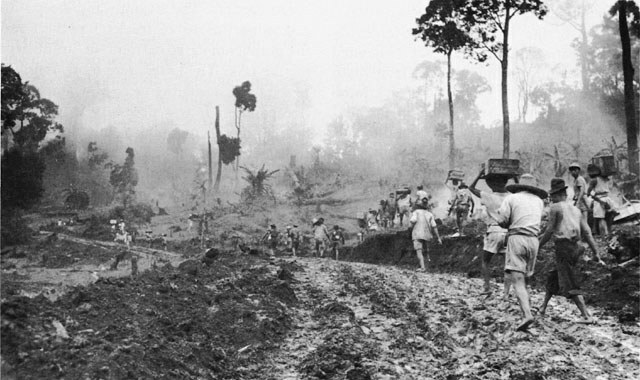 Records indicate that only two of three battalions of the 41st Regiment landed there; the third battalion remained on Mindanao for a short period. 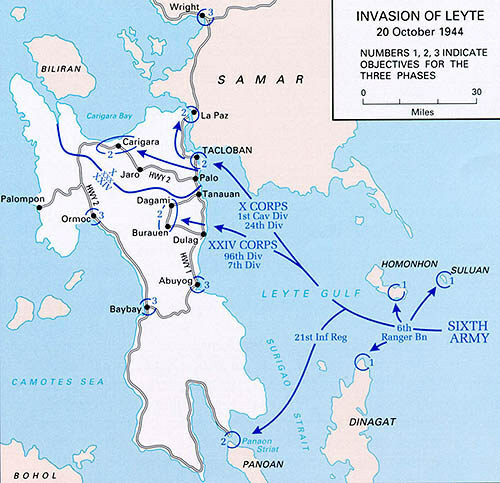 Yet, it appears that even that last battalion headed to Leyte in short order. 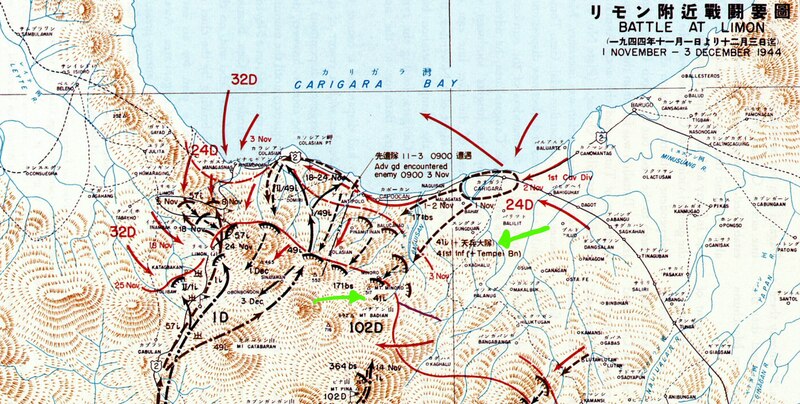 Due to Mr. Ota’s notes and as corroborated by official US Army combat records, Uncle’s 41st Regiment did fiercely engage Colonel Newman’s 34th Infantry at the end of October and that one of Suetaro’s lieutenants was killed during that violent combat. 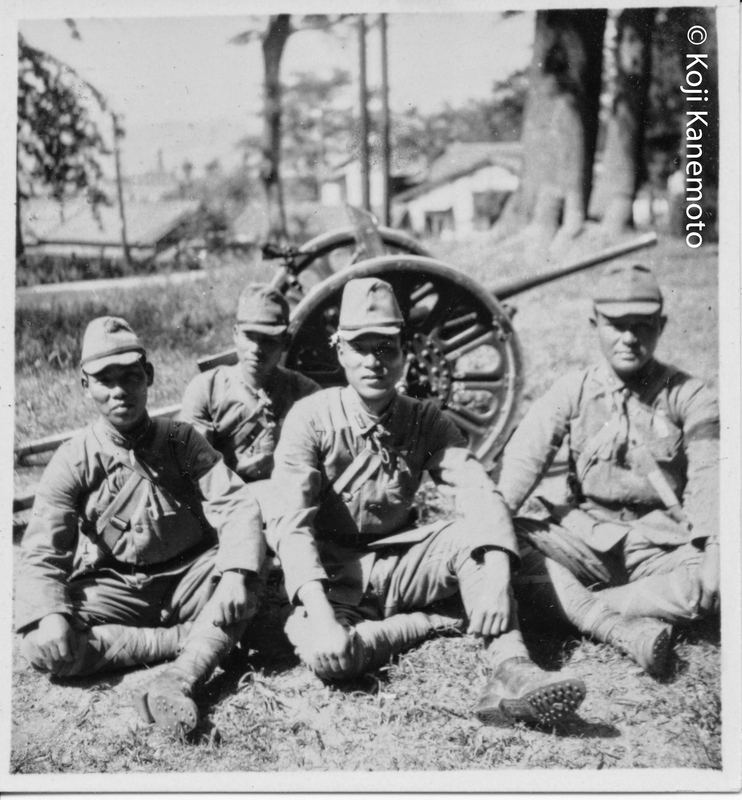 Combat records of the US 12th Cavalry Regiment document that once again Uncle Suetaro’s unit was engaged in combat. 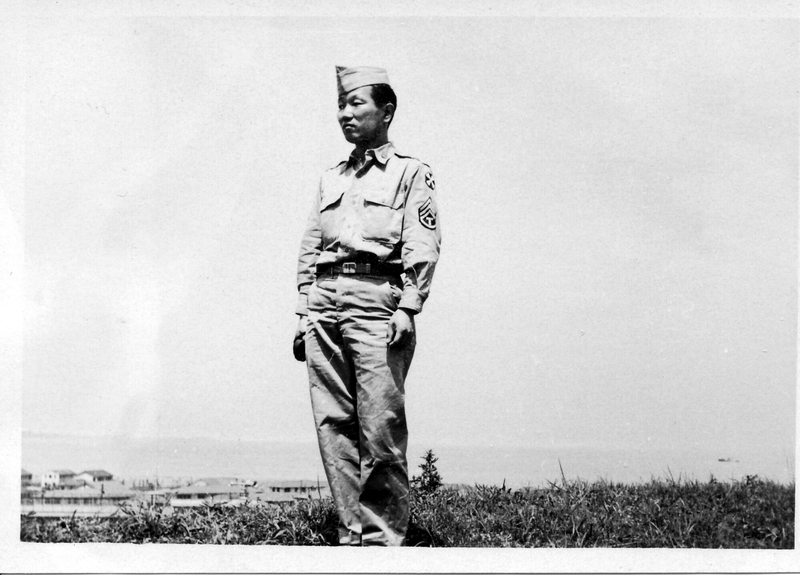 The presence of the 41st Regiment was confirmed by dog tags, having been removed from Japanese bodies then translated by Nisei’s in the US 8th Army’s 166th Language Detachment – the same unit my dad was assigned to in 1947. 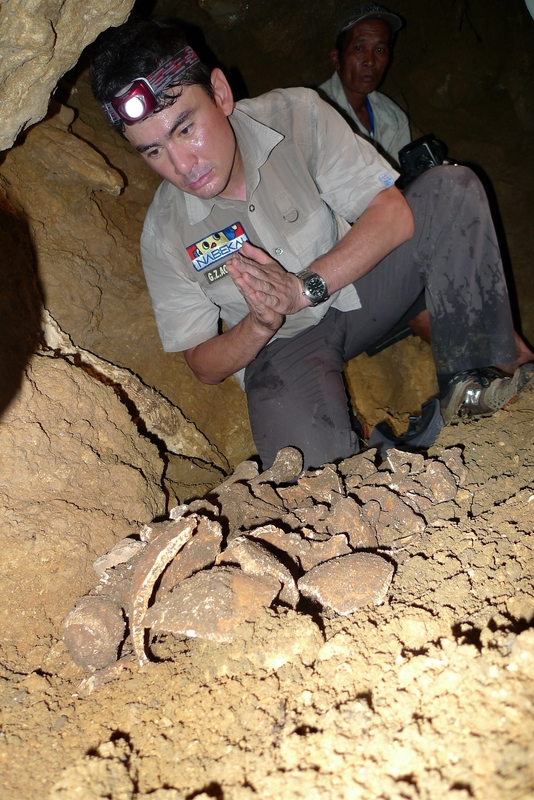 There is second hand testimony that a few survivors had assembled on Mt. 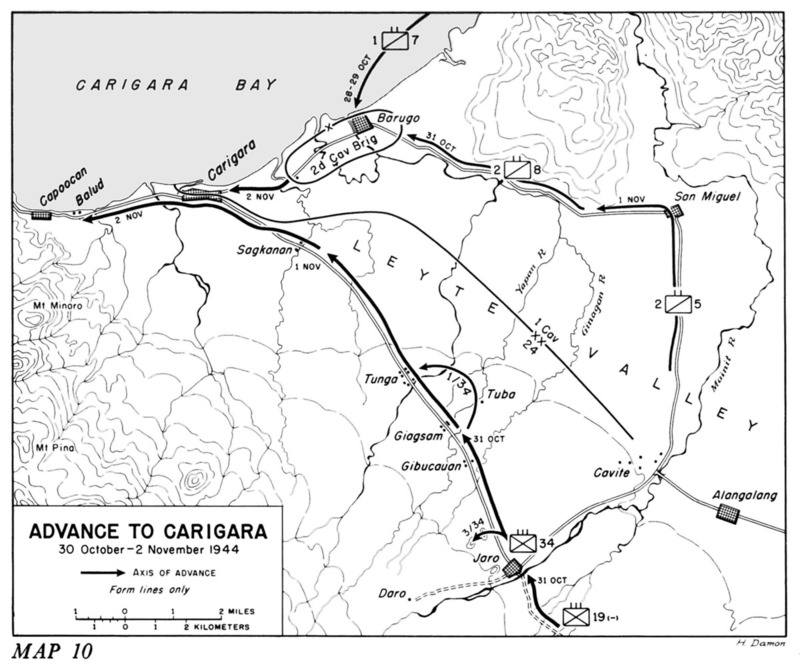 Canguipot from January 1945… and “mopping up” actions by the US Army units continued. Indeed, it was far from a “mopping up” situation. 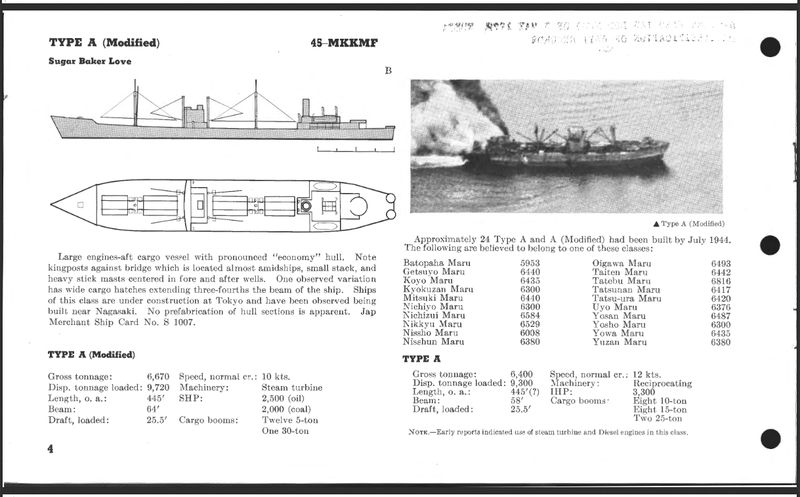 Those of you versed in WWII will know of how enemy corpses were handled – down to the use of lye – so there is no need for elaboration. If you are not familiar with how death is handled in a WWII battlefield, the only thing you need to know is it is odious. Therefore, how he met his death will never be known…nor his place of rest uncovered with his identification intact. Perhaps there was a picture of him and his siblings in his pocket that has long since dissolved away. But dedicated Japanese citizens visit these battlegrounds in search of Japanese remains to cremate them. Maybe Uncle Suetaro has been given such an honor. 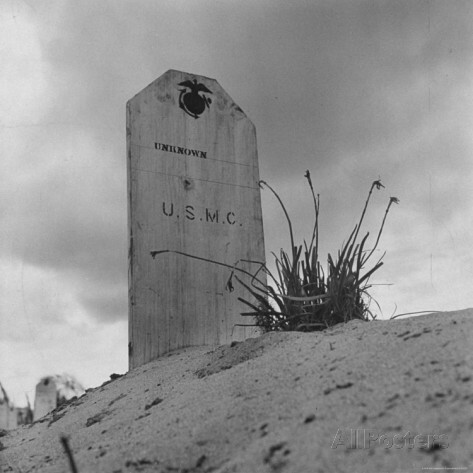 I can only hope death had a heart…that he did not suffer for so long only to endure an agonizing death in a lonely confine… but statistically, over 60% of the 2,875,000 Japanese war deaths was attributed to starvation or illness (including those arising from wounds and lack of medical care). Indeed, Uncle Suetaro is a soul lost in a faraway jungle. 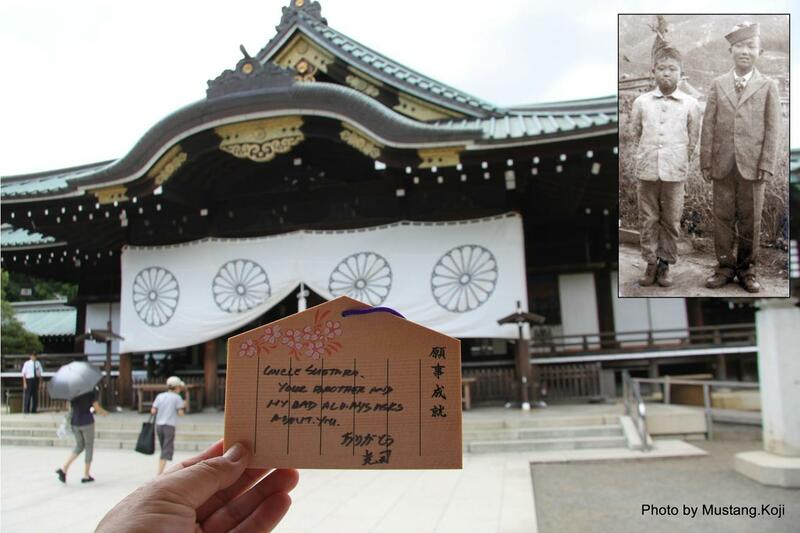 My oldest son and I visited Tokyo in August, 2012. One stop was at the Yasukuni Shrine, Japan’s equivalent of our Arlington National Cemetery in a way. We left a prayer for Uncle Suetaro. May your soul be at peace, Uncle. 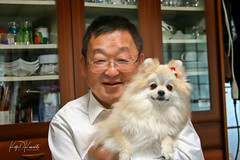 Mr. Ota, on behalf of my family here in the US, I thank you for your help in our search for Uncle Suetaro. Yes, some holdouts continued to fight the Allies after war’s official end and more lives were lost on both sides. And indeed, there were two notable soldiers who held out for many, many years. Sgt. 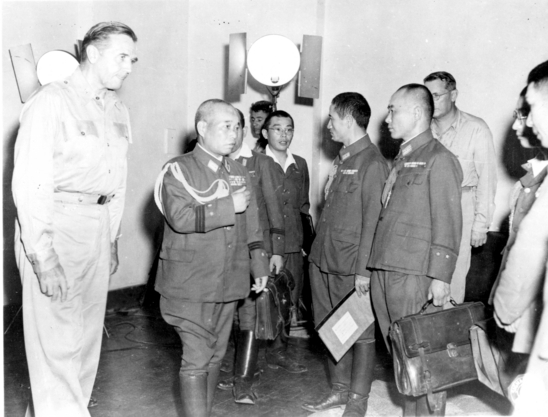 Onoda was the longest holdout, living for 29 years in a Philippine jungle until his former commanding officer flew to the Philippines then personally rescinded his order to stay and fight but this is atypical.